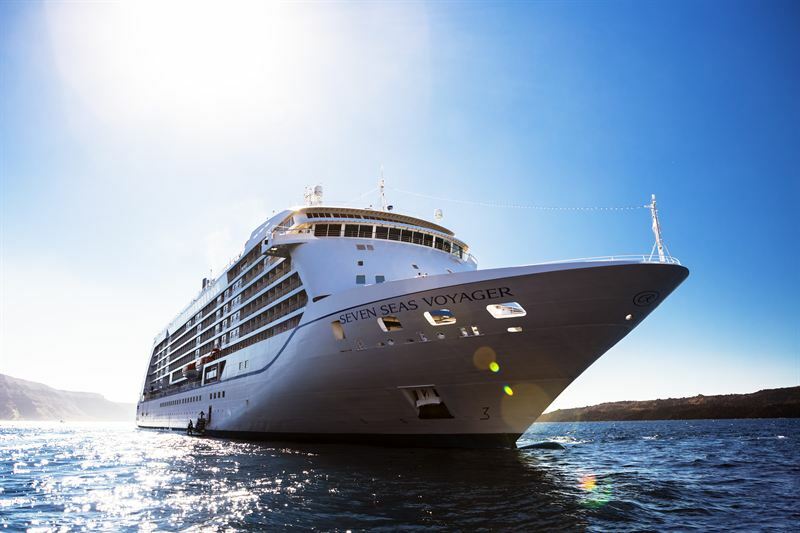 Regent’s Seven Seas Voyager, launched in 2003, entered the shipyard in Marseille for a full system update in October 2016. While drydocked, the vessel was equipped with new, state-of-the-art wastewaster treatment systems from Evac. The Evac MBR (membrane bioreactor) is an advanced wastewater treatment process that treats all wastewater streams to the same standards of land-based municipal plants. It allows vessels like Seven Seas Voyager to operate in environmentally sensitive areas such as Alaska and the Baltic Sea. All wastewater generated by passengers and crew is treated and discharged without threat to health or the environment. While Seven Seas Voyager was in drydock, two openings were cut in the hull, one starboard and one port. This enabled the MBR units to be brought as ready-assembled and tested units. According to Regent’s Paiella, the vessel was in drydock for two weeks, but it only took seven days to open the hull, bring in the MBR unit, and close the hull. To make sure things go off without a hitch, top cruise lines choose their partners carefully. Paiella made his choice based on a variety of factors. Primarily, because Evac systems were installed on board another Regent ship, Seven Seas Explorer, branded as the most luxurious vessel ever built.